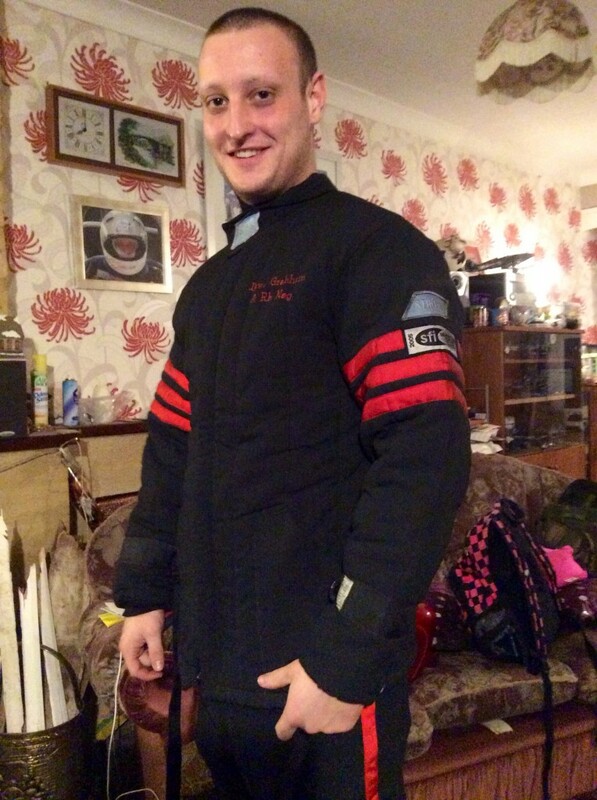 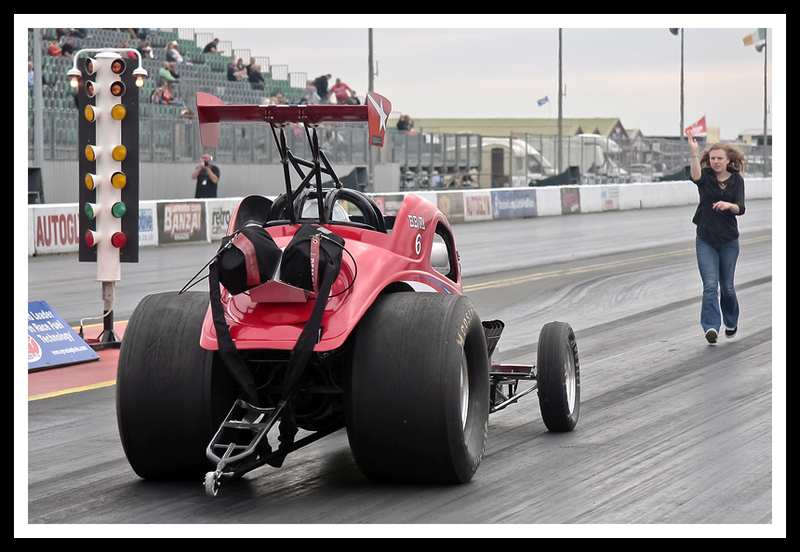 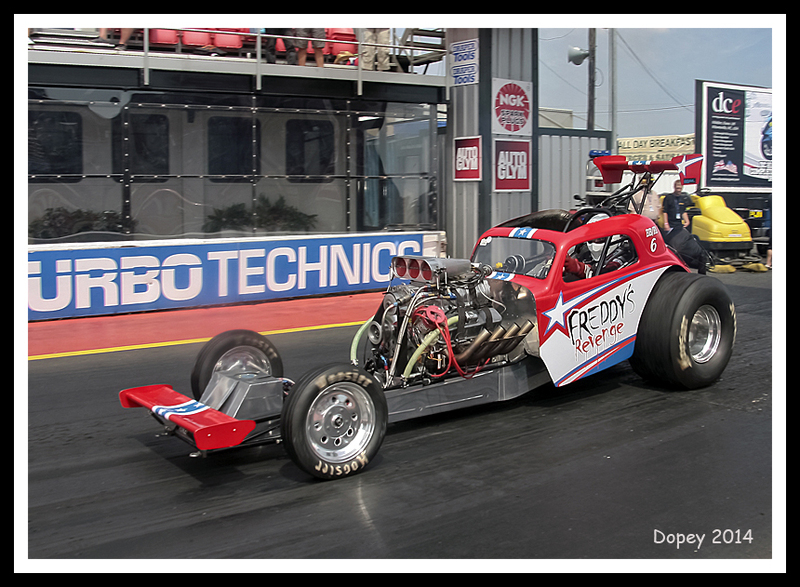 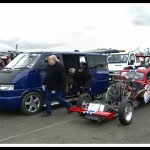 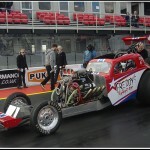 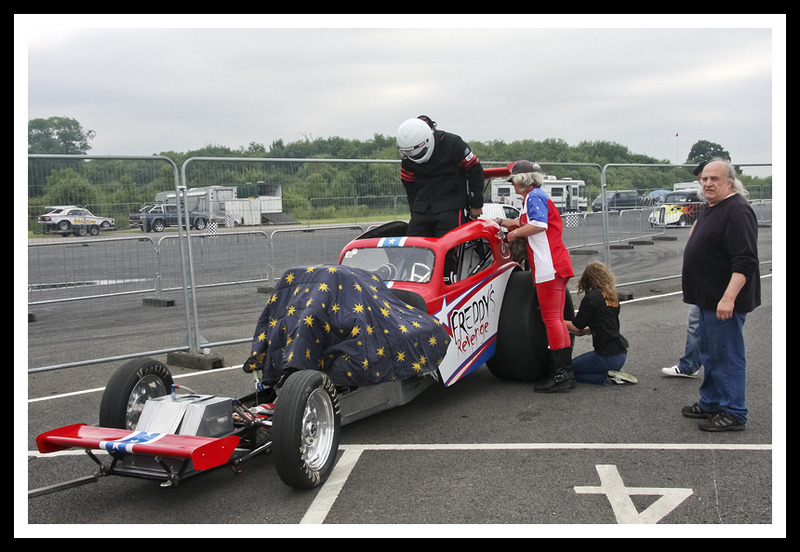 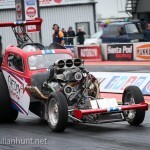 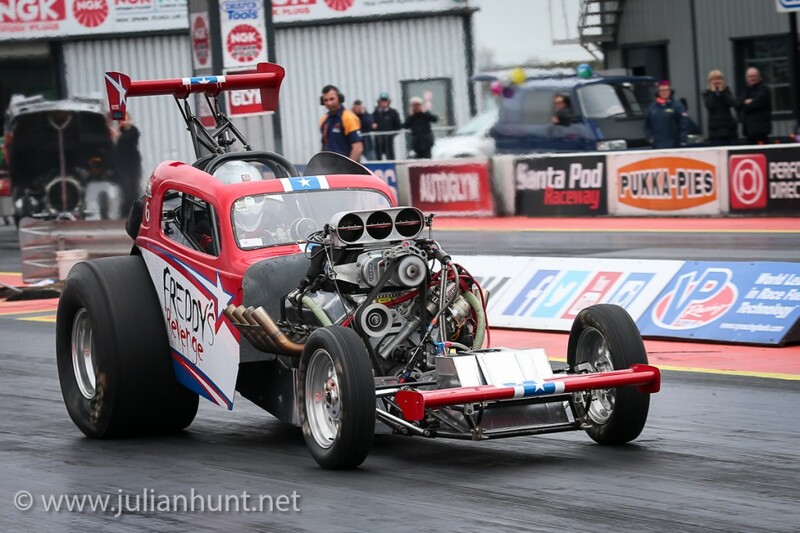 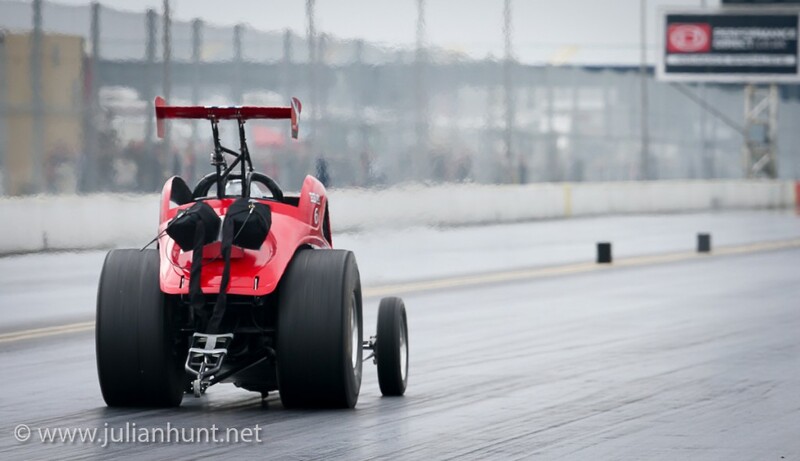 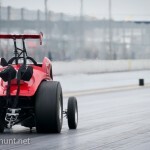 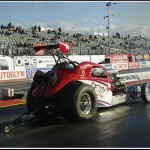 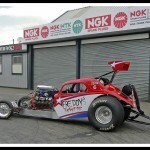 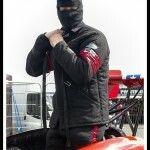 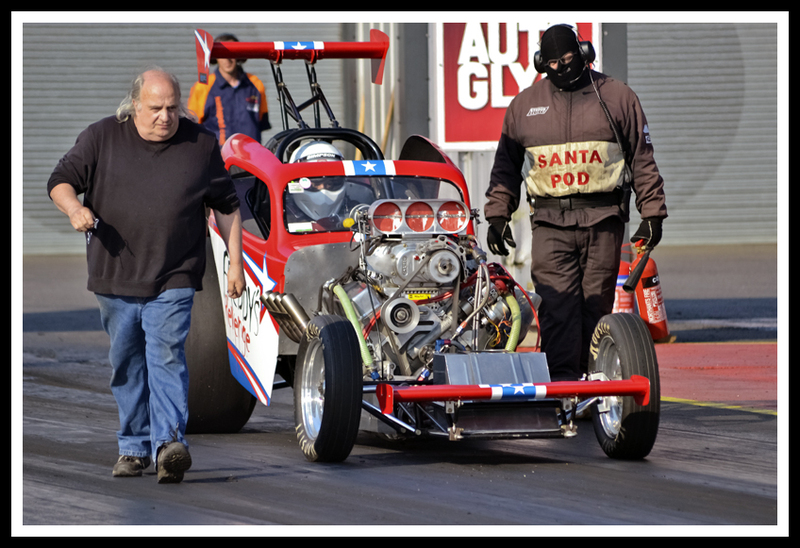 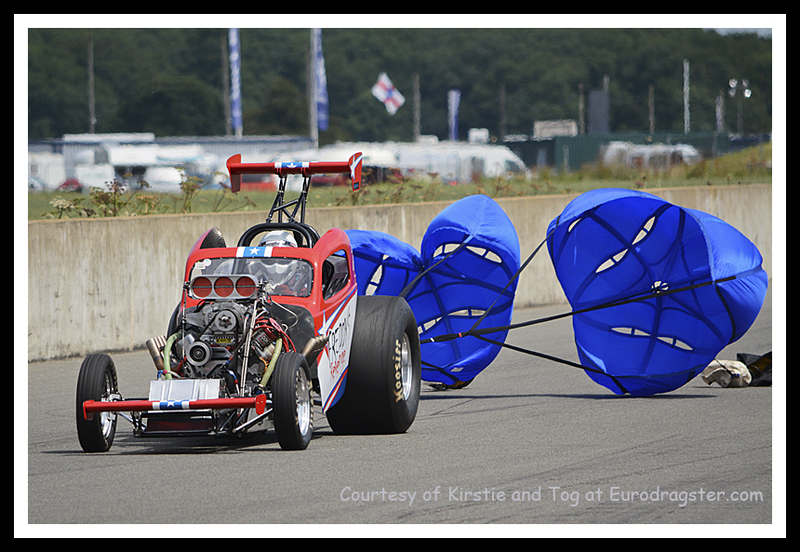 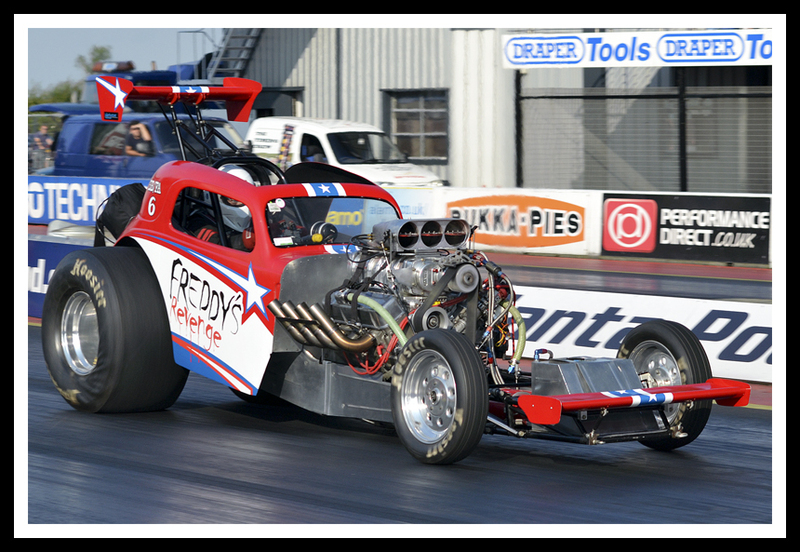 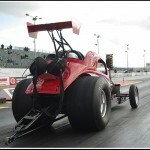 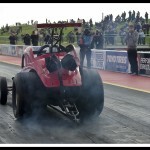 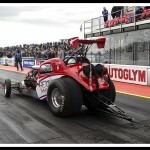 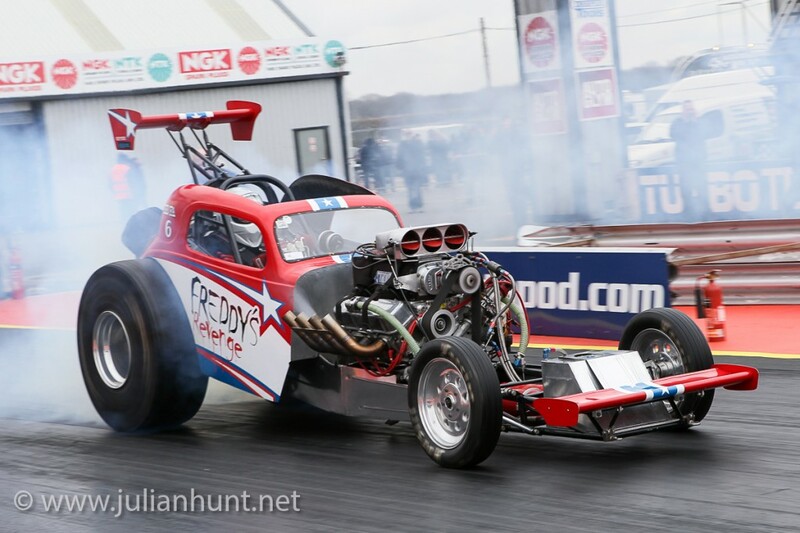 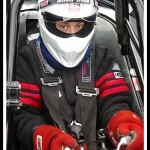 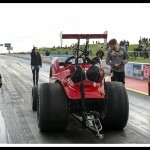 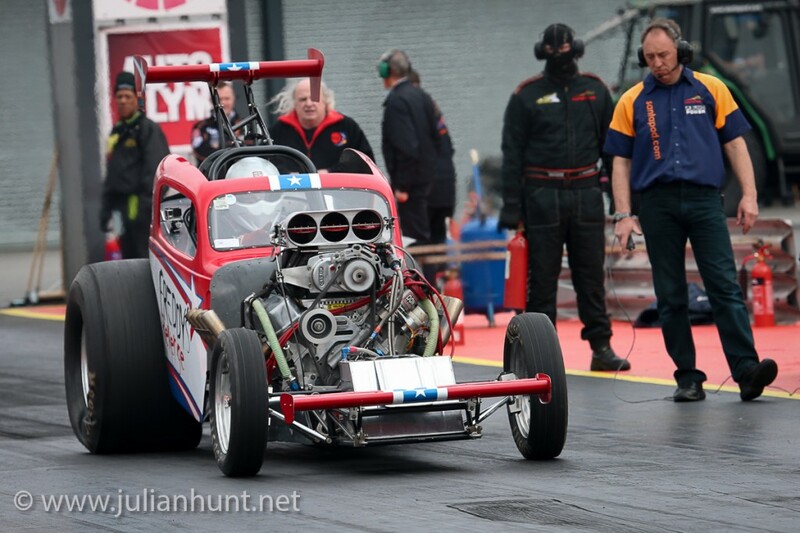 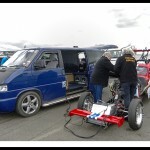 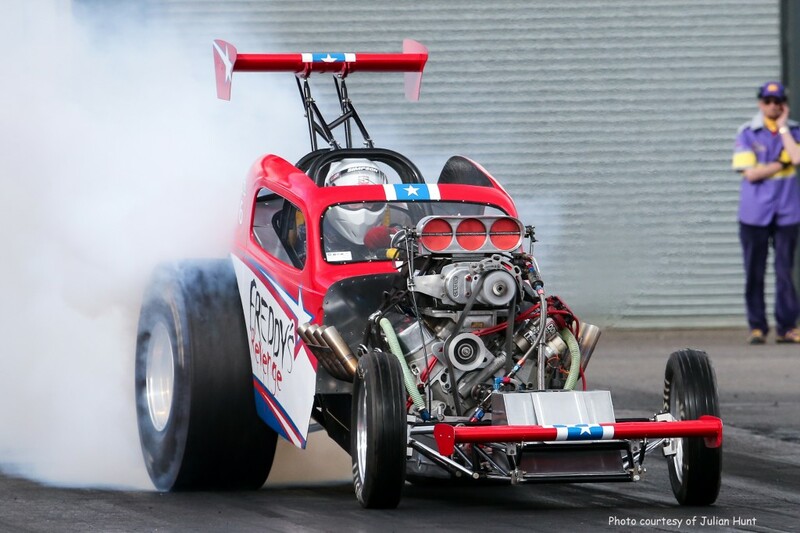 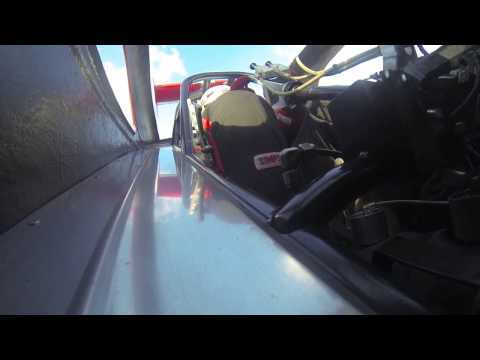 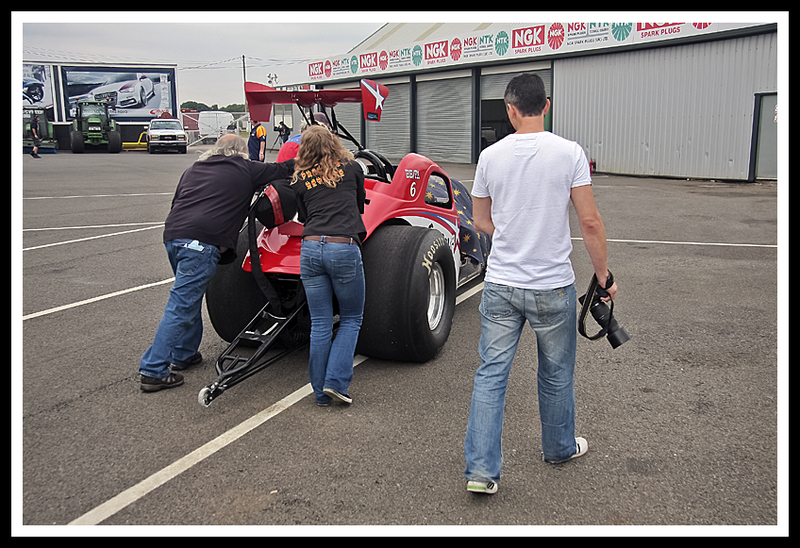 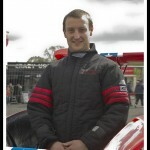 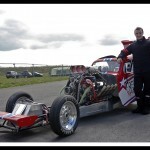 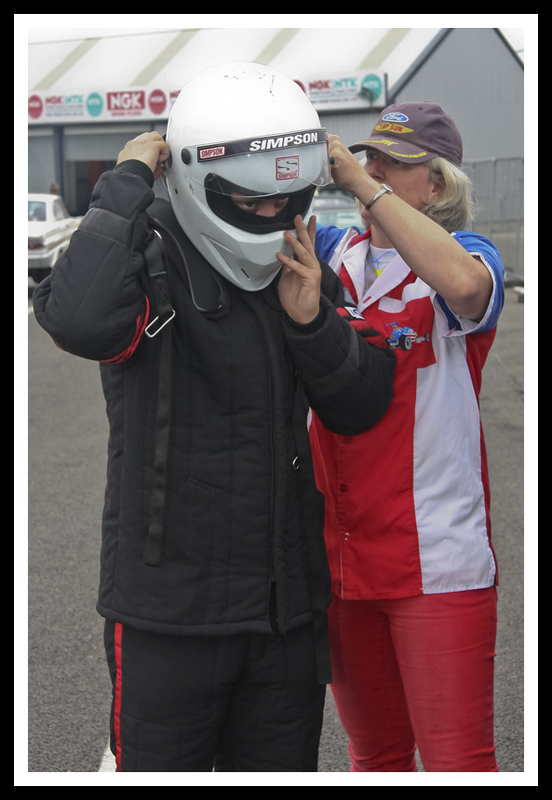 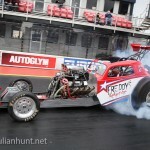 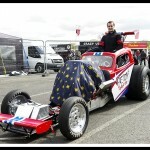 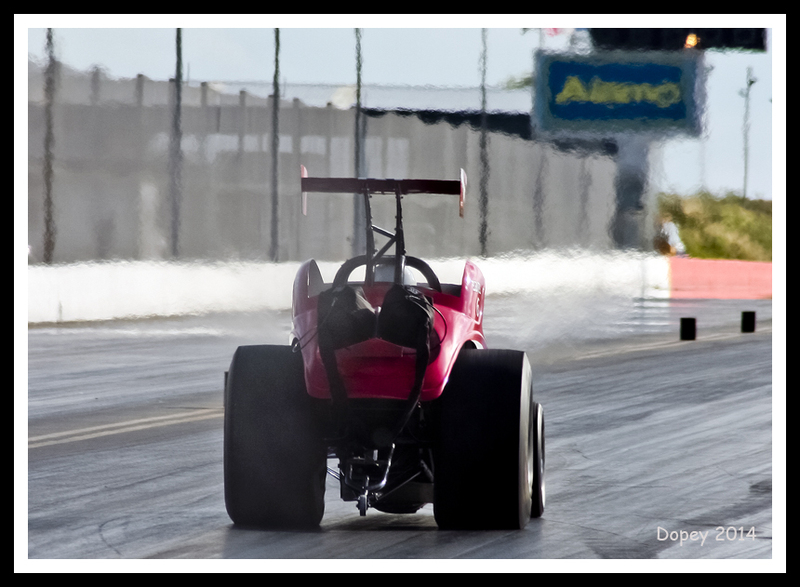 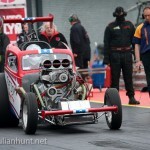 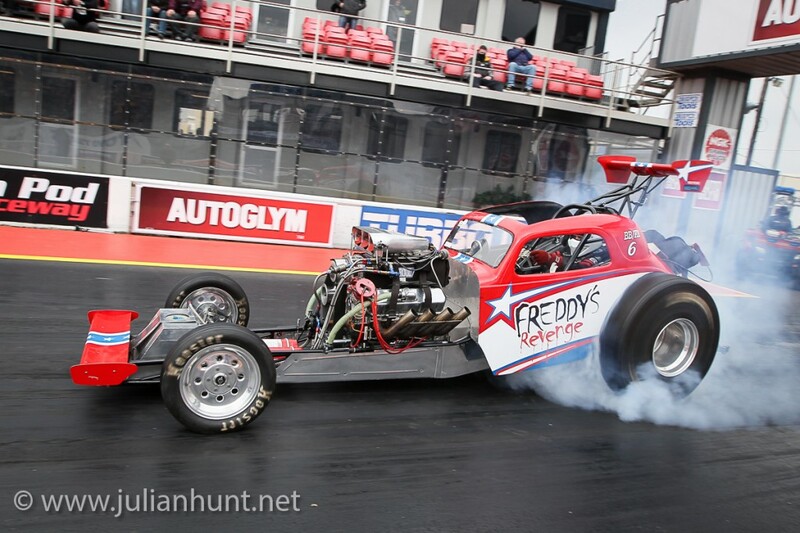 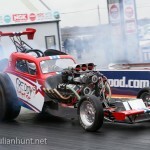 Robbie describes his recent experiences at the Santa Pod Festival of Power behind the wheel of the Freddy’s Revenge fuel altered in this eurodragster news item under the title of A Successful Outing. 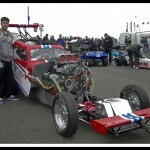 Well Done Robbie! 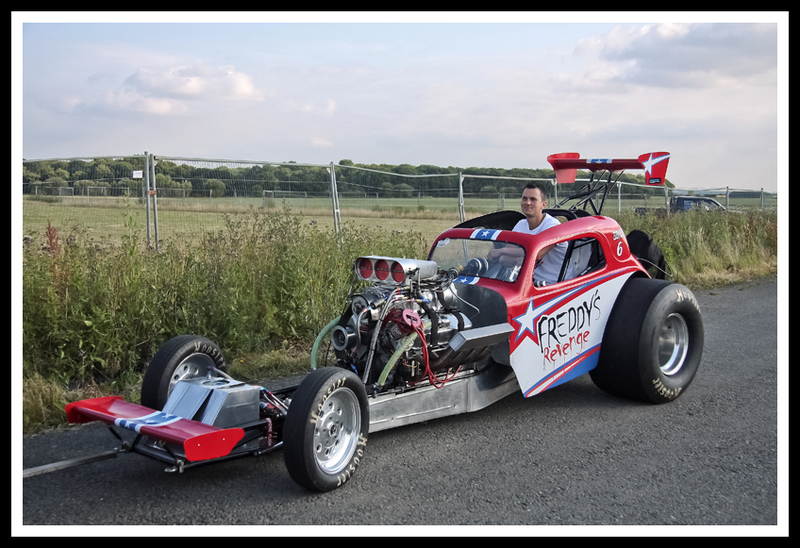 TC and Robbie had another successful afternoon in the workshop, yesterday; Robbie stripped, checked and rebuilt our 3-speed Lenco while TC removed the blower manifold and one of the cylinder heads.